The Church of All Hallows in Allerton, Liverpool is a lively and active Anglican Church and its beautiful building is recorded in the National Heritage List for England as a designated Grade I listed building. 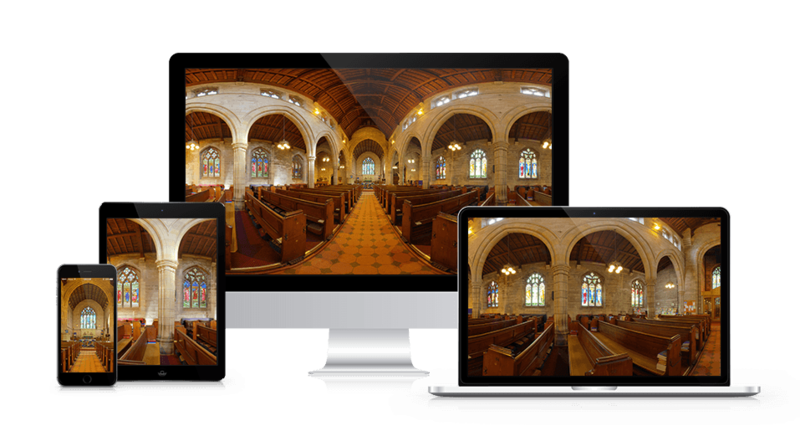 All Hallows approached Innobella Media to produce a virtual tour of the building, allowing visitors from afar to experience what it’s like to stand in the middle of the church, look around and zoom in/out. Made up of several hundred high resolution raw photographs, at varying exposures to capture the light and dark areas as the human eye sees them, this virtual tour really shows off the building at its best and is the next-best-thing to visiting it for real.